"Unavailable" Does Not Mean "Easy Access"
On March 5, 2012, the City of Richardson launched a new design for the city's website. It's been almost three months since then? What's your verdict? Personally, I find that whereas the redesign might look a little more modern (maybe), I can't find information any more easily than before. One of the goals of the redesign was to make the website friendlier to mobile devices. That's good, but I can't comment on it as I don't access the website except on full-sized screen connected to a desktop computer. After the jump, what is a killer issue for me. 21-8. That's not a football score. 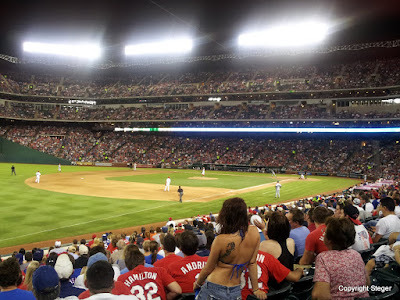 That's the score the Seattle Mariners ran up on the Texas Rangers Wednesday night. The game was a disappointment, but I do have to say we had good seats. Or a good view. Or something. Another photo after the jump, to prove we were there. Yesterday, I reported what I was up to all last week. 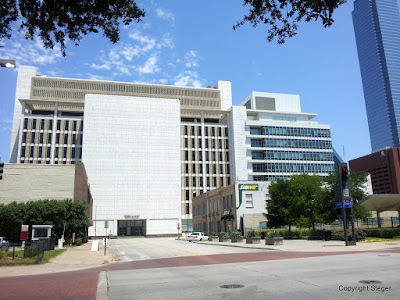 Called to jury duty on Monday in Dallas County civil court, I was selected and served until Friday before the jury reached a verdict and was discharged by the judge. For those interested in the case (DC-10-02003), I'll summarize after the jump. 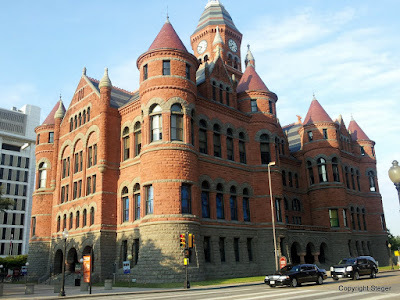 Editorial writer Jim Mitchell of The Dallas Morning News says that jury duty no-shows are a problem with no solution. He says less than 20% of the residents of Dallas County who are summoned for jury duty actually show up. Based on my recent experience, that sounds about right. Assuming the juror numbers are sequentially assigned based on summonses, 277 people had to be summoned to create a 42 person jury pool for the trial I was called for last week. After the jump, why it's a problem. An exhibition of glass sculptures by Dale Chihuly is on display at the Dallas Arboretum May 5 - November 5. More photos from our Memorial Day visit after the jump. The Wheel is on a short hiatus, due to circumstances beyond my control that I am not allowed to talk about, under penalty of law, or something like that. According to the Form 8871 filed with the IRS, there's a new 527 organization as of May 15, 2012. It's the "Richardson Citizens For A More Democratic Government." A 527 organization or 527 group is a type of American tax-exempt organization named after Section 527 of the U.S. Internal Revenue Code (26 U.S.C. § 527). A 527 group is created primarily to influence the selection, nomination, election, appointment or defeat of candidates to federal, state or local public office. Technically, almost all political committees, including state, local, and federal candidate committees, traditional political action committees, "Super PACs", and political parties are "527s." However, in common practice the term is usually applied only to such organizations that are not regulated under state or federal campaign finance laws because they do not "expressly advocate" for the election or defeat of a candidate or party. When operated within the law, there are no upper limits on contributions to 527s and no restrictions on who may contribute. There are no spending limits imposed on these organizations; however, they must register with the IRS, publicly disclose their donors and file periodic reports of contributions and expenditures. After the jump, what this filing can tell us about this new organization that wants to change Richardson's city charter. How Far Will You Walk to DART? First, a thank you to The Dallas Morning News's Rodger Jones for becoming aware of my existence. On the News's blogs, Jones responded to me calling his complaint that Richardson lacks walkability "whining." Basically, he says, "Guilty as charged." As Stephen Colbert might say, "I accept your apology." Then Jones goes on to say that I accused him of being ignorant and/or dishonest. That's not exactly right. What I said is that I couldn't tell if he was just being obtuse or was deliberately misleading readers. Come to think of it, I guess it's my turn to say, "Guilty as charged." After the jump, the case I made. 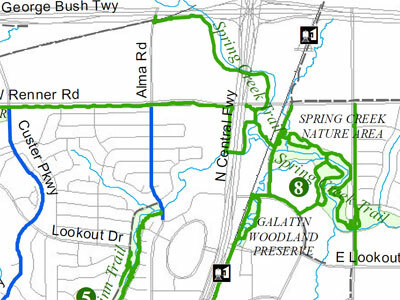 The good news is that Richardson's trail system is set to reach the President George Bush Turnpike (PGBT) DART station within two years. That suggests the planning for the transit-oriented development around the PGBT station is advancing fast enough to start pouring concrete in that time frame. The also good news is that this might finally shut up Rodger Jones, editorial writer for The Dallas Morning News, who has been whining about the lack of a walkway for years. After the jump, what's not so good news. On Sunday, Alan North announced a petition drive for a referendum on the direct election of the mayor of Richardson. Is he in to win this time? Or will he pull a second disappearing act? After the jump, how's it going? No, seriously, how is it going? Say you live in Richardson in an apartment on Renner Rd, west of Central Expressway, and you want to get to the DART station. Say you don't want to drive your own car. What would your trip be like? After the jump, follow me. The last time we talked about a city charter review for Richardson was in February, when the city council voted 6-1 (Amir Omar dissenting) to reject a proposal to place before the voters a charter amendment to allow for the direct election of the mayor. The council then voted 5-2 (Omar and Steve Mitchell dissenting) to reject a proposal to appoint a commission to review the charter as a whole. At the time, I was shocked with how cavalierly the council dismissed what I had considered to be a campaign promise. Did you think that was the end of it? Think again. After the jump, an effort to make an end run around the council. Just as there are no great cathedrals in China, there are no Blenheim Palaces." Henry Kissinger was there at the beginning, when the great freeze in China/US relations ended. He prepared the way for Nixon to go to China after a generation of virtually no official contacts. 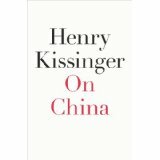 Kissinger has been involved ever since, a trusted intermediary between the Chinese and US governments, despite having no official portfolio. That's what makes this history so valuable. Kissinger's first hand accounts of relations with a rising powerhouse in Asia could be written by no one else. Patrick Kennedy, urban planner and opponent of urban freeways, has accused Rodger Jones, editorial writer for The Dallas Morning News, of bigotry in his reporting on a public hearing on the Trinity floodplain toll road. Bigotry? Even Kennedy knows that's a strong charge. I might have said one-sided, lacking balance, maybe even biased. But bigotry? That's such a loaded word. After the jump, a sampling of Jones's work that riled Kennedy, and, oh yeah, a Richardson connection. Dine Smart, Dine Local. How About Dine Healthy? The City of Richardson recently revamped its online presence, rolling out a new website with great fanfare. Maybe it's a work in progress. Check out these two sections of the city's website and see what you think. OK, what do you think? Compare and contrast. Make a suggestion for how to improve the usability of these two sections. After the jump, the answer. No balls, Frisbees, bikes, scooters, roller blades, kites, balloons, or other items potentially damaging to the grounds are permitted in the Garden. But feel free to drive your cars, vans, SUVs, pickup trucks, whatever, all over the grasses on that patch of Texas blackland prairie at Winfrey Point. What do we care? It's not ours. I have no business commenting on Dallas's business, but I can't resist this spat of nature lovers. It's tree huggers vs flower power. What it boils down to is that the Dallas Arboretum has outgrown its parking. It wants to use White Rock Lake's Winfrey Point for special event overflow parking (and maybe later for more permanent parking). After the jump, my perspective. RT @GreggCalvin: "Yes please! That's how you do it! #Game3 at McKinney Boyd tomorrow at 12 o'clock"
RT @rthomas422: "Ahh crazy game! Game 3 at Boyd tomorrow at 12. 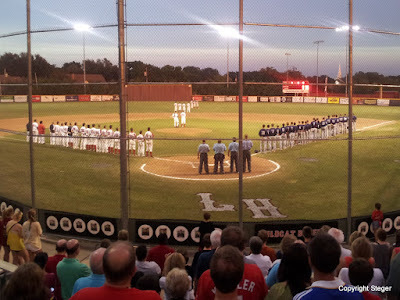 #lhbaseball"
Update: From The Dallas Morning News: "Lake Highlands 4, McKinney Boyd 3: Lake Highlands scored three runs in the bottom of the seventh [high schools play seven innings], capped by an RBI single by Colton Bradley, to even the best-of-3 series at one win apiece. Game 3 is set for noon Saturday at McKinney Boyd." The City of Richardson's planning commission gave the go-ahead to a plan from Austin-based Alamo Drafthouse to open its first branch in Dallas-Fort Worth in the Richardson Heights Shopping Center. This announcement of a movie theater coming to Richardson, and not just any movie theatre, is exactly the kind of catalyst that could spark a renaissance for Richardson's old downtown ... if Richardson seizes the opportunity. After the jump, imagining what this might mean. Recently, I offered my opinions on the four candidates for the GOP nomination for the State Board of Education (SBOE) District 12 seat. George Clayton, the incumbent, received my (reluctant) nod. Tuesday night, all four candidates, plus Lois Parrott, who is uncontested in seeking the Democrat-ic nomination, had a chance to impress me in person at a forum jointly sponsored by the Leagues of Women Voters of Plano/Collin County, Dallas and Richardson, the Greater Dallas Section of the National Council of Jewish Women, and the Women's Council of Dallas County. After the jump, how the candidates fared in changing my mind. This is the most passionate I've seen people. My email is blowing up, my phone is blowing up. Source: Public Hearing, City of Richardson . What could be causing such a commotion? 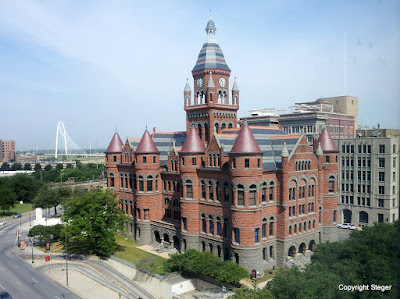 It was a public hearing of Richardson's Council District Boundary Commission (aka the City Planning Commission, or CPC). Every ten years, with the new census, Richardson redraws its council district boundaries to ensure balance in the population of each district. This public hearing was for receiving comments related to the three district boundary options under consideration by the CPC. After the jump, what the passion is all about.